Venice police commissario Guido Brunetti returns in an investigation involving the Mafia, the Russian government, and the US. military. When an American body is found floating in one of the city's picturesque canals, Brunetti probes into a case that lands him in a toxic waste cover-up. 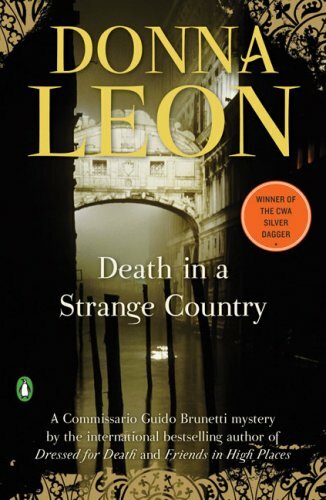 Donna Leon was born on September 29, 1942 in Montclair, New Jersey. She taught English literature in England, Switzerland, Iran, China, Italy and Saudi Arabia. She is the author of a Commissario Guido Brunetti Mystery series. Friends in High Places, a novel from the series, won the Crime Writers Association Macallan Silver Dagger for Fiction in 2000. German Television has produced 16 Commissario Brunetti mysteries for broadcast. She was a crime reviewer for the Sunday Times. She has written the libretto for a comic opera and has set up her own opera company, Il Complesso Barocco. Her titles Jewels of Pardise, The Golden Egg, and By Its Cover made The New York Times Bestseller List.